Turmeric has been used as a medicine, a condiment, and a dye since at least 600 B.C., while ginger has been used extensively throughout history for its medicinal purposes. 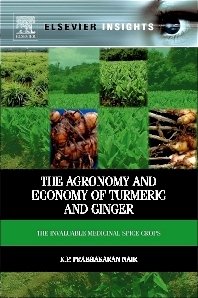 The Agronomy and Economy of Turmeric and Ginger brings these two important plants together in one reference book, explaining their history, production techniques, and nutritional and medicinal properties in detail. This book is intuitively organized by plant and use, allowing quick access to information. 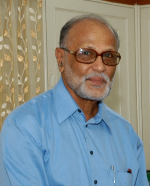 It puts the uniquely Indian use and history of turmeric and ginger plants into a global context of production and economic aspects. It explores the plants from a botanical perspective, and goes into details of their chemical composition as well. Rounding out the book are chapters on disease and pest control issues. The book is a valuable resource for those involved in the production and marketing of these plants, as well as those looking for more information on the medicinal and nutritional properties of turmeric and ginger. Students and researchers in agriculture, industry, policy planners and those involved in global pharmacopoeia.